Over the past several months the tech world has been filled with a lot of chatter on AMD’s upcoming Zen lineup of processors, and after countless spec leaks, demonstrations and even a few benchmarks there’s one lingering question – when can we buy the desktop Zen platform, known as Summit Ridge. AMD’s Dr Lisa Su confirmed it would be indeed the first quarter of 2017, but now we finally have a solid answer. The next generation AMD processors, dubbed Zen are reported to be launching at the upcoming CES (Consumer Electronic Show) which takes place January 2017. But that’s not all! There will be a multitude of different motherboards released before Zen / Summit Ridge appear on store shelves, with the high end motherboards (featuring the AM4 X370 chipsets) shipping in December, 2016. For folks who’ve been taking note of the retail prices of the current generation AMD processors, you’ll have spotted a lot of great deals on the FX series (such as the FX 8350 – review here) which are now being bundled with games or deep discounts. From the reports obtained by DigiTimes, this is a function of AMD clearing their back-inventory of older stock, and preparing retailers for the incoming launch. From the report, while Zen is going to be launching January 2017, there’s a good chance that volume and mass shipments won’t occur until about a month later, but this hasn’t been confirmed as yet. As we know, AMD have seen quite the profits boost due to Polaris and their custom APU’s (found in Sony and Microsoft’s machines), and with Zen rolling out early next year, and reports of multiple Vega GPU’s (some replacing the current Polaris lineup), AMD hope to continue their course. For folks who’ve been following RedGamingTech for the past few months, the Zen launch date of January shouldn’t be too surprising. 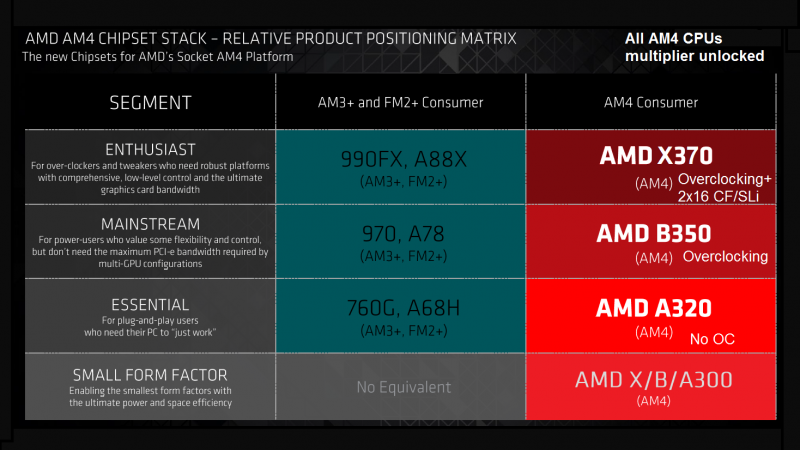 We’ve already seen the company demonstrate a Summit Ridge CPU featuring 8 Cores and 16 Threads pip an Intel I7-6900K to the post with a Blender benchmark, and AMD have started releasing information on the various AM4 motherboards. This is pretty important, because it means that the current AM4 boards are available to OEM’s (the Dell’s of the world) who’re building pre-built systems. But, now with the release of Zen those vendors can give their customers easy upgrade options, and can easily tweak their configurations with options at the checkout stage. AMD’s Zen is a completely redesigned processor, and designed from the ground up to focus on single threaded performance and lower power consumption. AMD are touting a 40 percent performance advantage over their older processors with Zen. And thanks to Simultaneous Multi-threading, in theory Zen should be pretty damn impressive. For an analysis on Zen, check out our article here. We’ve already broken down the chipsets of AM4 previously, but if you need a quick refresher, the X370 is the board for serious overclockers and gamer’s, as it features the more robust overclocking control, support for two PCI-E graphics cards running 16x PCIe 3.0 (so CrossFire / SLI), and a whole slew of other shinies. The ‘still high end but not bleeding edge’ boards, the B350 features slightly nerfed overclocking, but also nukes the SLI / CrossFire support. This continues down to the lower end boards, which have exceptionally limited tweaking, and are more created for OEM’s or for folks who’re not that fussed about having a PC be tweaked and customized. It’s quite an interesting situation, because the release date of Zen (once again, January 2017) puts it pretty much in a collision course with the release of Kaby Lake. As we’ve discussed a few days ago, Kaby Lake is an odd duck, as the higher end part, the 7700K features far higher performance than the 6700K thanks to both a higher clock speed and better IPC. But the big ‘win’ is the ability to plonk your Kaby Lake CPU into the Skylake motherboard (in other words, you can use a series-100 motherboard with Kaby Lake, you don’t need the series 200) providing you run a BIOS update. Thus, AMD are left to duke out an upgrade path for folks with a Skylake CPU, and naturally anything older. 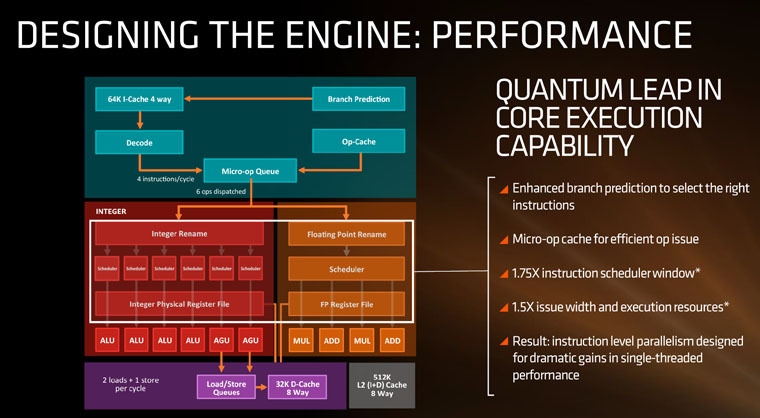 We do know that AMD will have a core advantage to Intel’s mainstream offerings, but as always, it falls on the price, performance (especially single thread) and availability before we can make any decisions. From a personal standpoint (not a professional one), I’ll be glad to have the processor released just so we can see what it’s actually capable of in reality. It’s one of those things we’ve been waiting for so long, so hopefully Zen / Summit Ridge will be like the original Athlons of old and give us a great, higher performance Intel alternative. Tagged with am4, AMD, amd zen, gaming, hardware, motherboard, summit ridge, technology, zen.